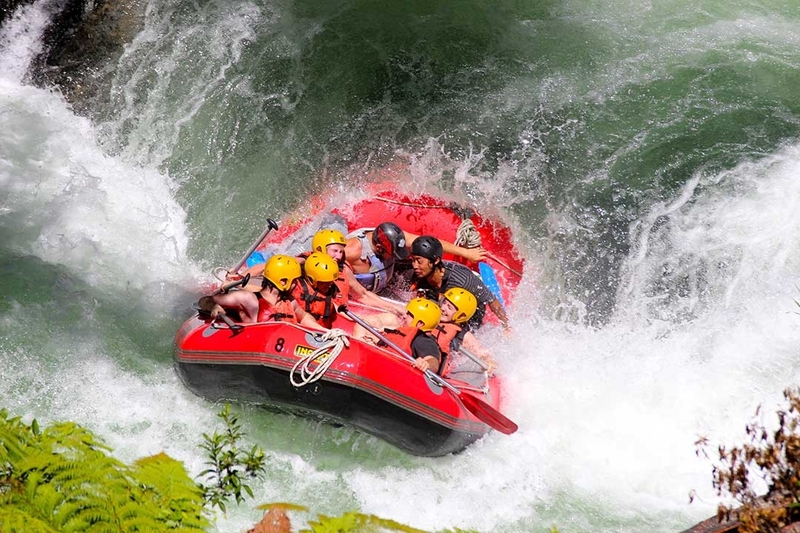 If you’re keen to get that adrenalin pumping, but haven’t quite reached the point of wanting to throw yourself out of a plane just yet, why not try white water rafting?! 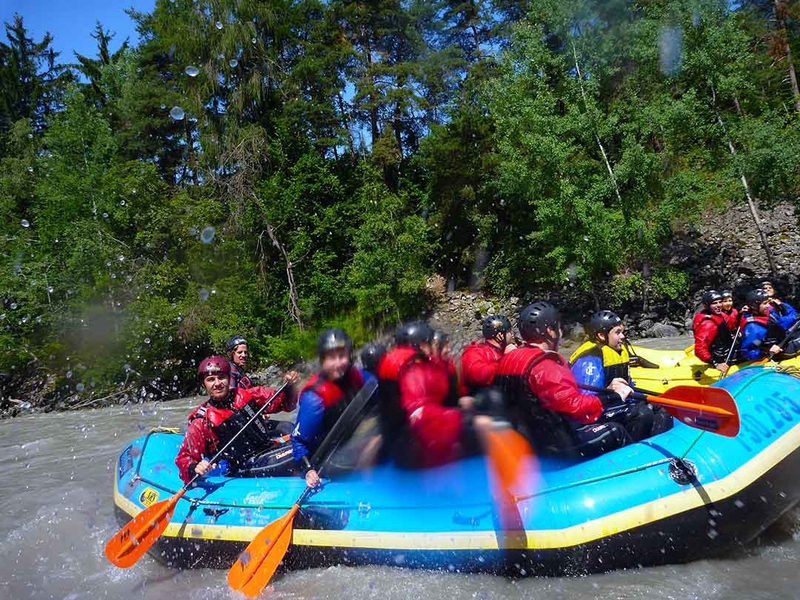 No experience is necessary for beginner rafting, and before you know it, you’ll be paddling your way down a river, surrounded by amazing landscapes and… oh wait, is that a 7 metre waterfall ahead?! 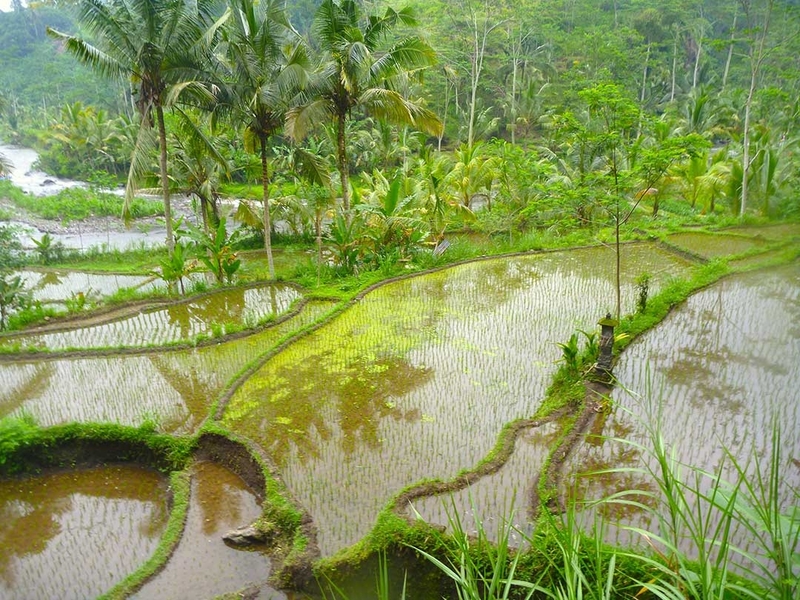 Coming in at number 3 is good old Bali! Just a hop, skip and a jump from Australia, this cheap little destination has so much to offer and is super popular among the Aussies. 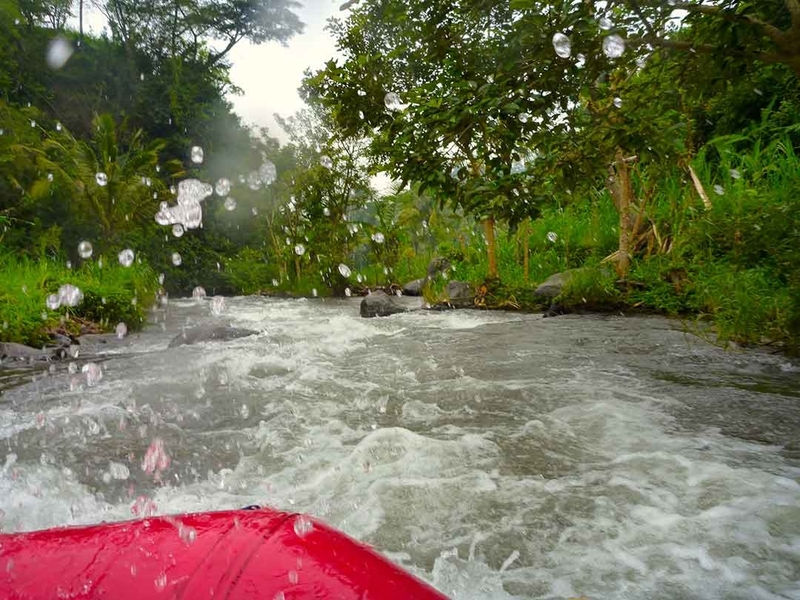 With beautiful scenery and a fantastic price point, white water rafting your way around Bali is an excellent activity to cool off during those humid days. 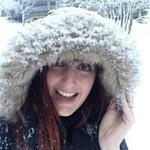 Just be prepared to walk up a thousand stairs afterwards! 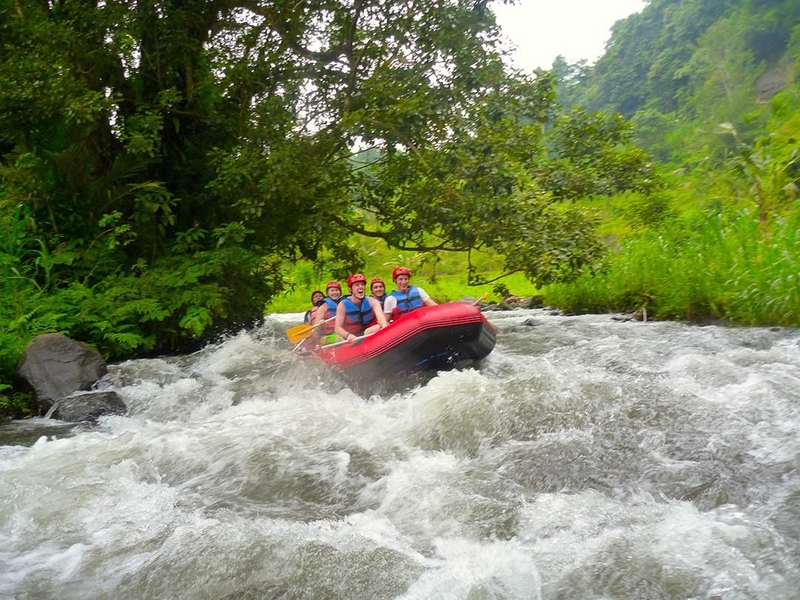 Naww, but look at the pretty rice paddy fields… Booking info at Sobek Rafting. 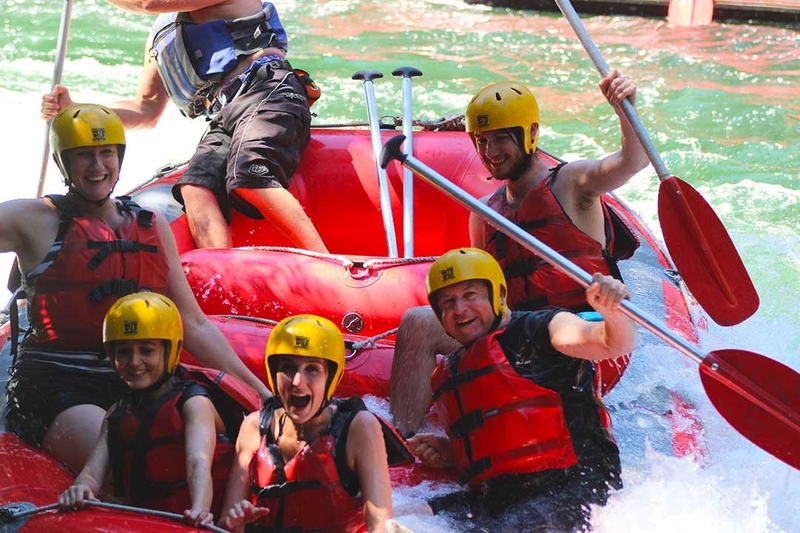 I probably don’t need to explain why white water rafting in the Austrian Alps is a good idea… The majestic mountains tower above you, while the incredible green foliage surrounds you in every direction – just don’t fall in, those waters are icy all year round! 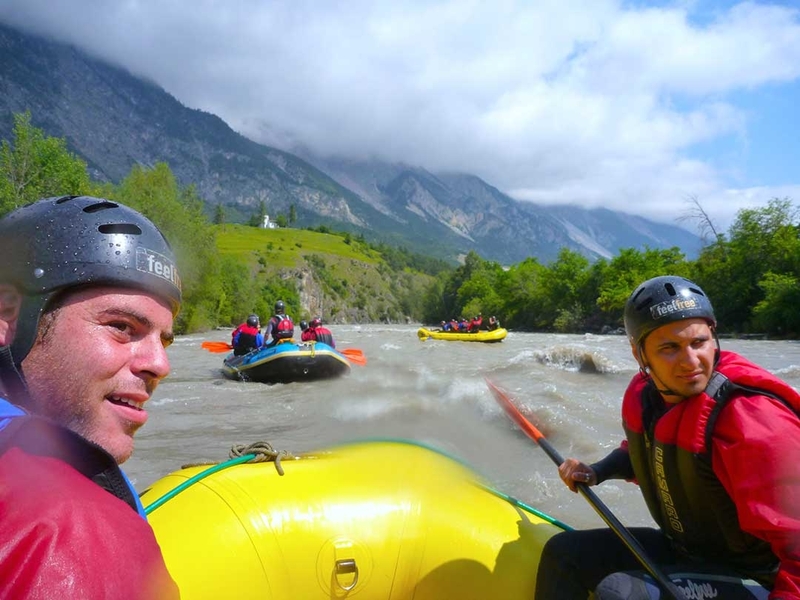 The rapids in this little town, nestled between the Alps, draw people from all over the world, and with good reason. 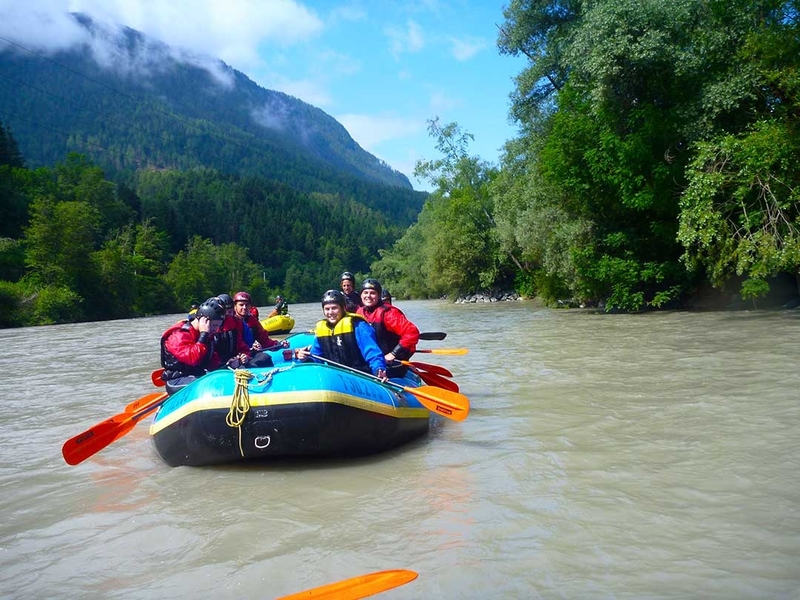 The region of Tyrol is famous for its adventurous activities, like rafting, paragliding and cross-country skiing in the winter. Booking info at Feel Free. 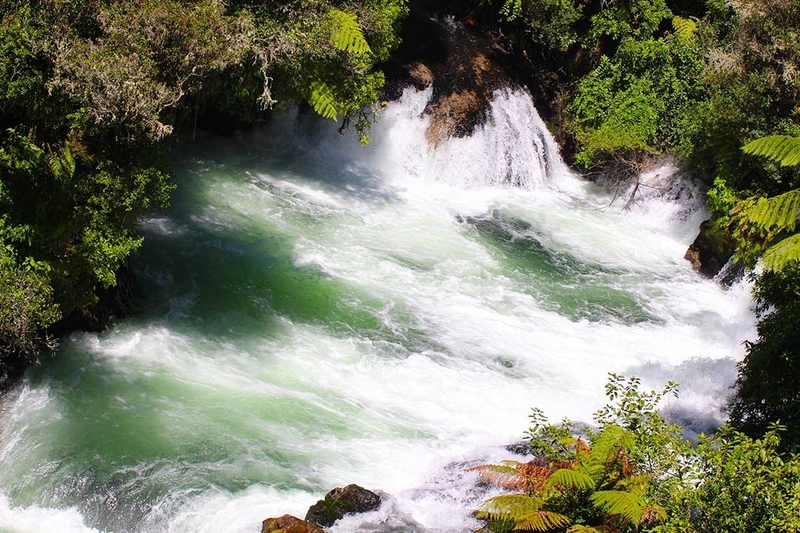 The number 1 spot goes to one of my favourite destinations…NEW ZEALAND! 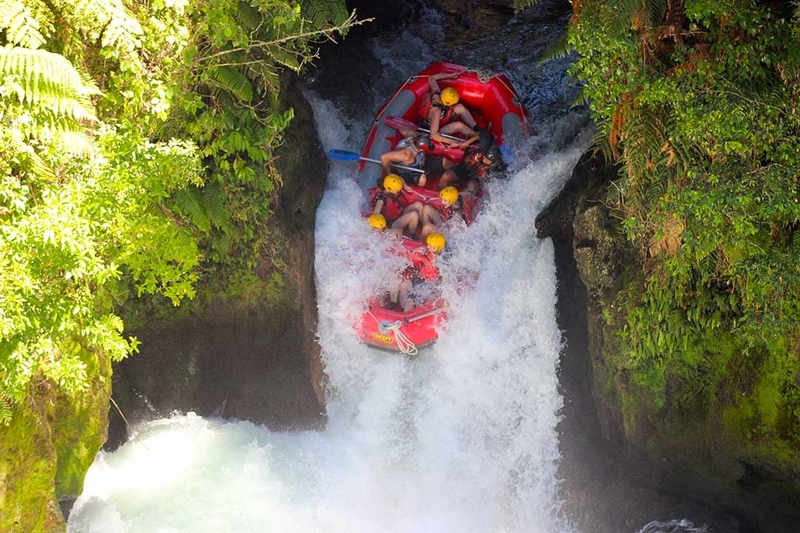 This awesome country has everything the adrenalin junkie needs – from skydiving, bungee jumping, abseiling underground waterfalls, zorbing, zip lining, and everything else in between! 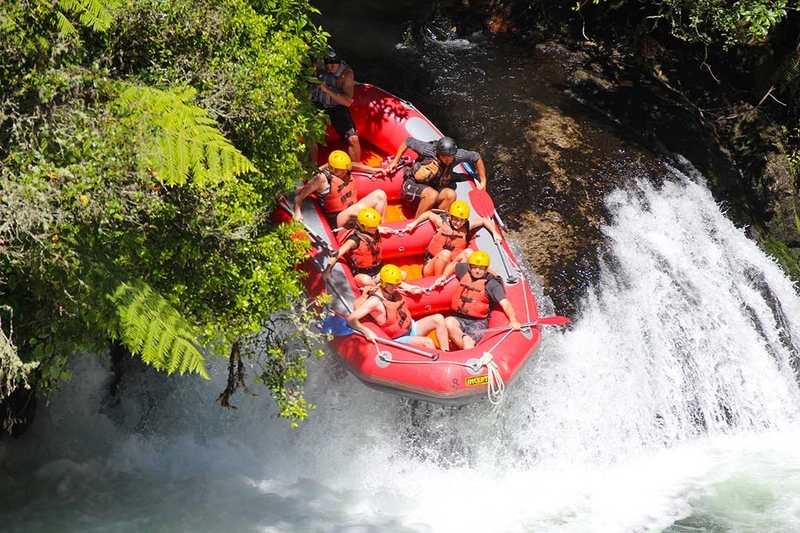 So, it comes as no surprise that New Zealand is the best place in the world to go White Water Rafting! 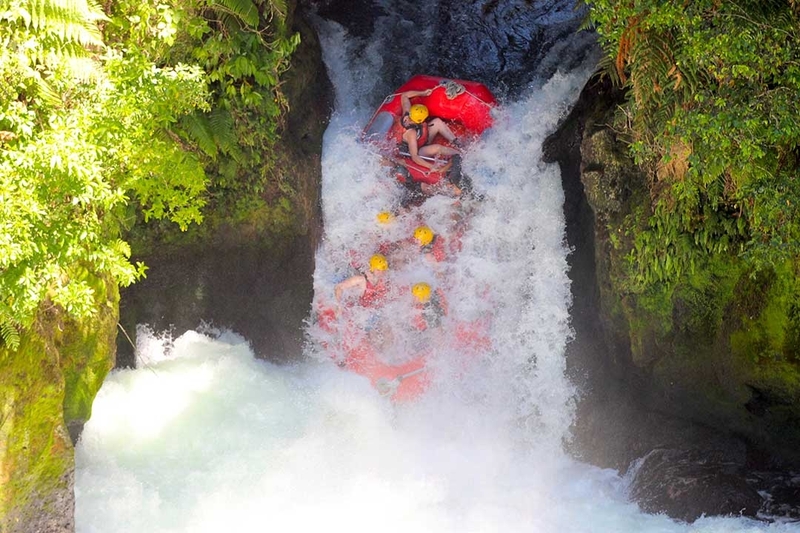 I’d been rafting a few times before I tried out the awesome rapids on the Kaituna River in New Zealand’s north island, but as long as you can swim, you can do this! And by this, I mean RAFT THE HIGHEST COMMERCIALLY RAFTED WATERFALL IN THE WORLD. You heard me. A mind-boggling, heart-racing, adrenalin-pumping 7 metre vertical drop over the edge of a waterfall! Booking info at Wet ‘n’ Wild Rafting. 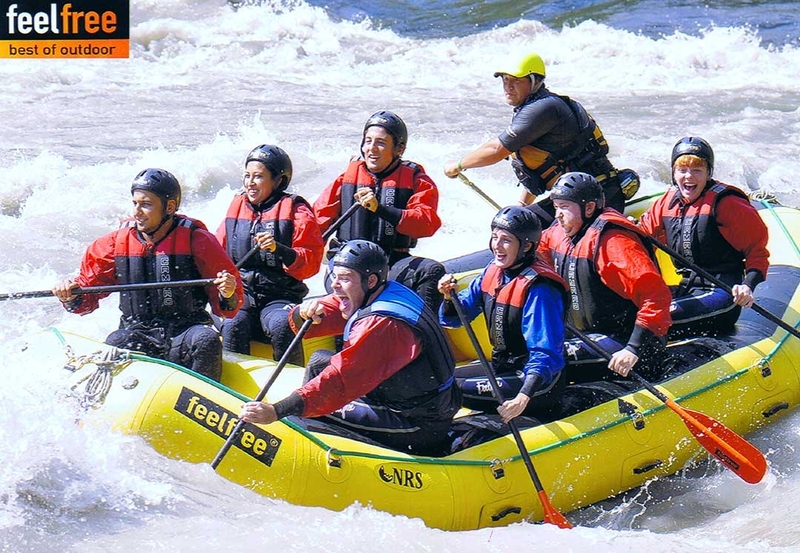 If you’ve got any other questions about white water rafting around the world, let me know in the comments below, or find me on Facebook or Instagram!